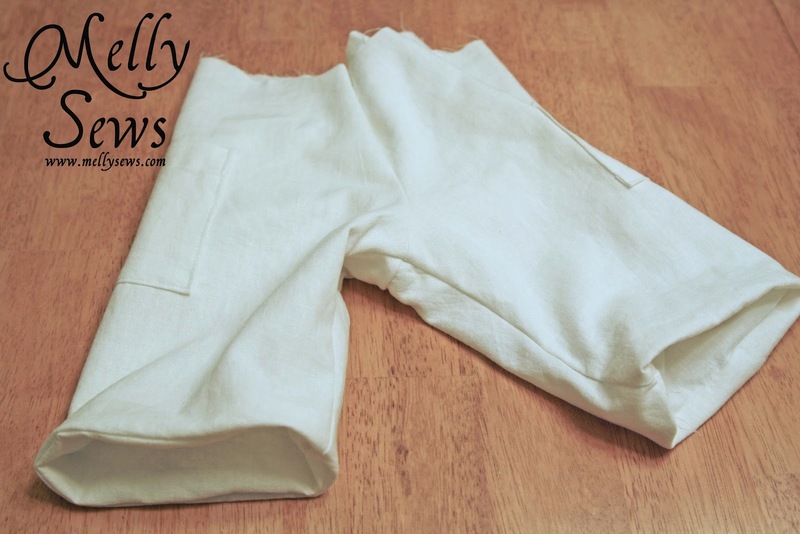 Today I’m going to show you how I lined these shorts from the Wildflower White outfit. 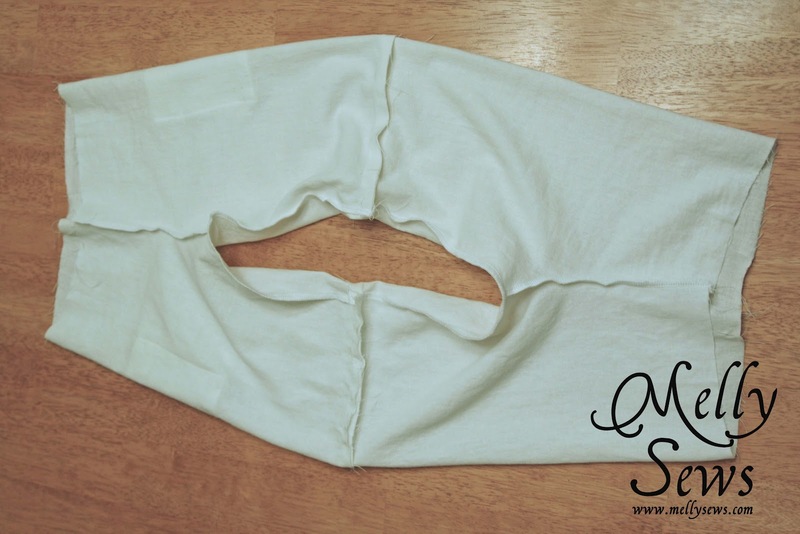 This technique could also be used to make fully reversible shorts. I did them this way so that I would be able to turn up cuffs and not see a hem. First, cut out double of every piece. 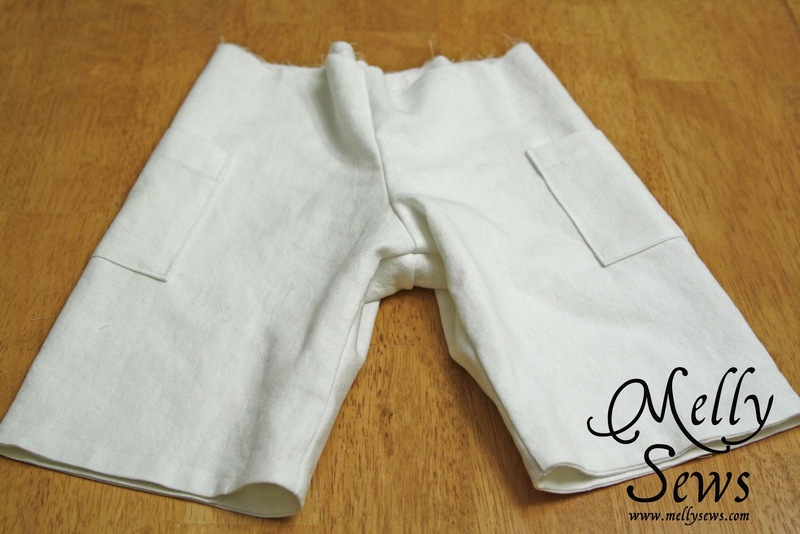 Sew them together so you have 2 pairs of shorts. I’m not going to go into how to make shorts here – there are a million tutorials on that (like here). Basically get to the point where you have 2 pairs of shorts without a hem. If your pattern has a waistband, don’t add it yet. Make sure your front sides are up, add a pin to keep your seams straight, then stuff the entire bottom pair of shorts into the leg of the top pair. 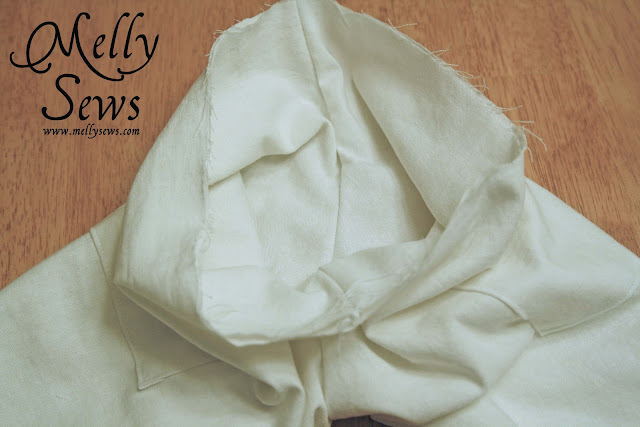 Make sure you have right sides together, then line up the side seams and the bottom edges of the shorts, then sew all around (sorry there isn’t a picture of me doing that). 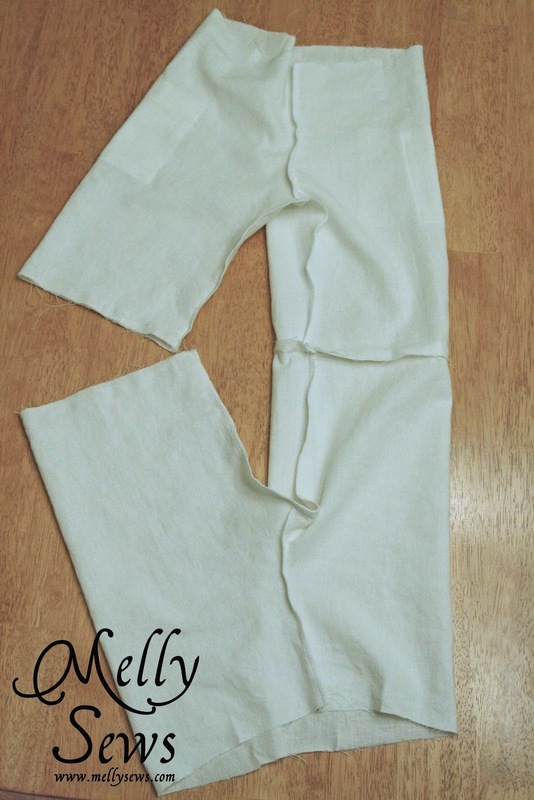 You’ll pinch the bottom edges of the leg together and sew around with the shorts exactly like this. Lots of pins and go slowly so you don’t sew your leg shut. 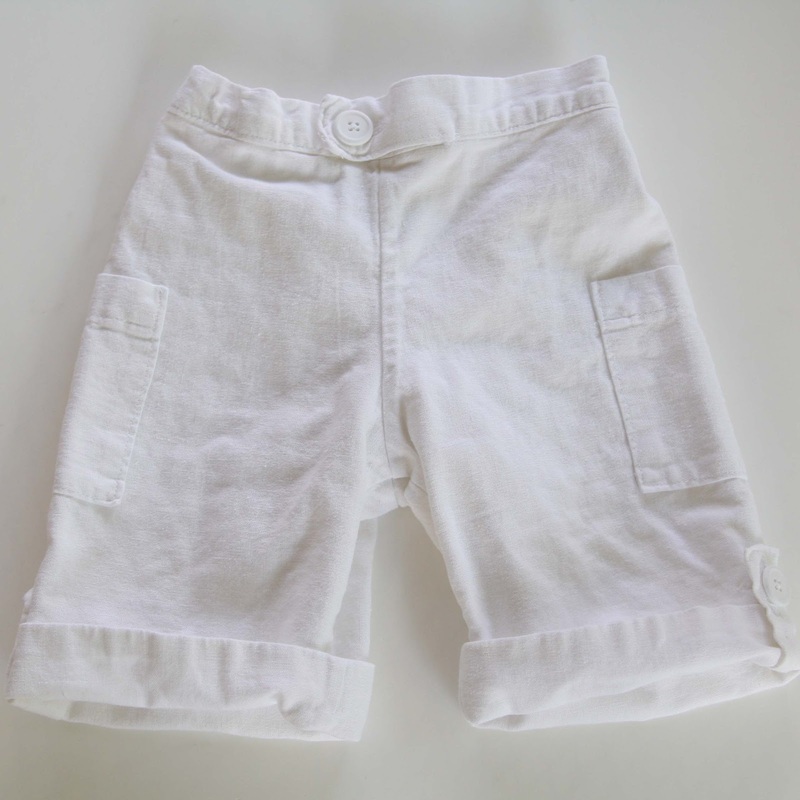 Then simply tuck the pair you want on the inside into the pair you want on the outside – in this case, I tucked the shorts on the right into the shorts on the left. Iron around the leg openings to press the seam flat, and baste around the top of the shorts to sew the two shorts together – this makes it easier to do your waistband. e-mailed me a while back and asked me if I’d like to be a regular contributor to her blog. Ummm…YES! So starting this Friday, every 2nd and 4th Friday you’re going to be able to find me posting over on Keeping It Simple. I’ll give you a hint about this Friday – I made something else for my baby niece. Now, remember I said several things under wraps. Well, next Monday I’ll be able to tell you about another one, and it’s exciting! I also loved the practical aspect to your designs. All of your clothes could be played in. And I appreciate the boy clothes you designed for you son. Sad to see you gone…I’ve loved your stuff! Your designs, I thought, were perfect…not too fussy, very practical and beautiful as well. Good luck with your new adventures. I’ll be checking back to find some good ideas. I’m so sad to see you go…I mean obviously its not for lack of talent! I LOVE that you chose all white. I am so drawn to that. And your looks were sweet down to the last detail. Well done! ahhh!!! i totally voted on multiple computers… cheating? ahhhh no INNOVATION!!! i tried. you’re a very talented lady. keep having fun!!! I was so excited to see that your contributing on my blog was the announcement 🙂 I’m so excited to see what you have in store! 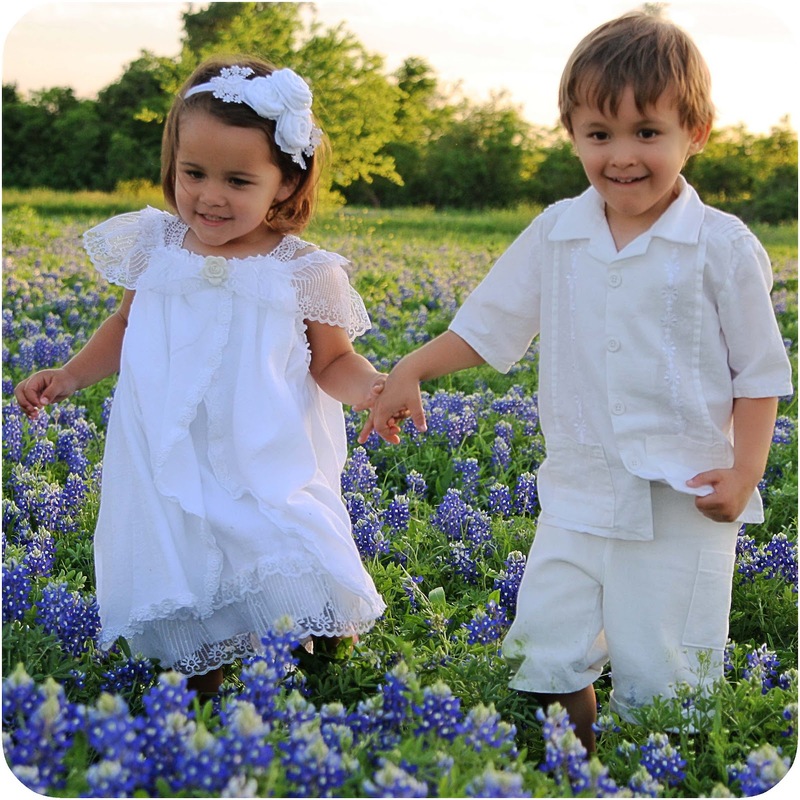 These are great, I can’t believe how gorgeous the pic is with the kids and the flowers! I’d love for you to add it on my link party at: http://printabelle.com/?p=3188 Thanks! SO cute, Good Job! I want to make a pair for my son. I hope you share this at the Sunday Round Up this week end. Cute shorts! I’ve never thought of lining shorts, but I bet, especially with white, it’s very helpful.